The human esophagus is a muscular tube that connects the throat with the stomach. At about eight inches in length, it is lined with a moist tissue called mucosa. The esophagus' primary purpose is to pass food from the mouth to the stomach. Human Esophagus captured at 100x under a biological microscope. 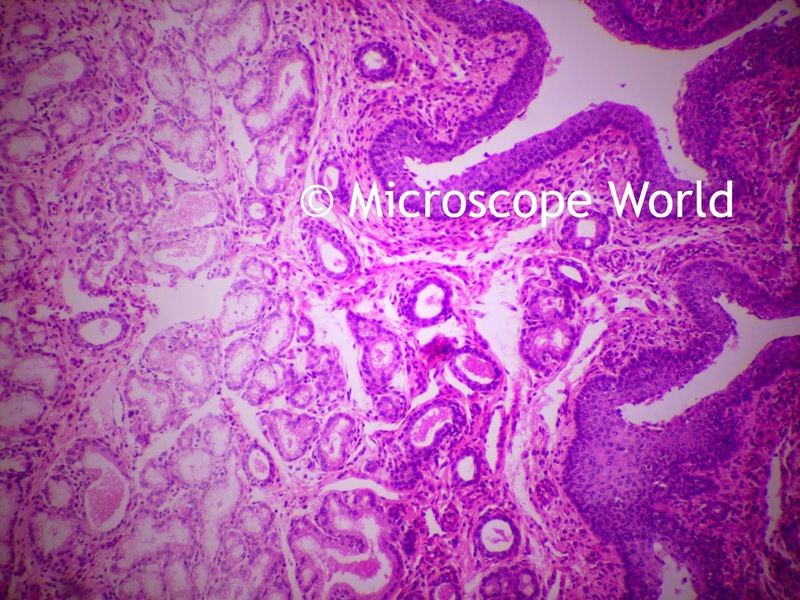 Human esophagus, 100x, captured under a brightfield microscope. These first two images of the human esophagus were captured using the Richter Optica U2 biological microscope and a 5mp CMOS microscope camera. Both were captured using brightfield with magnification at 100x and 400x. Using an Epi-Fluorescence microscope, the following image was captured at 400x magnification. Notice that the human esophagus prepared slide is in the exact same position as the image captured above. 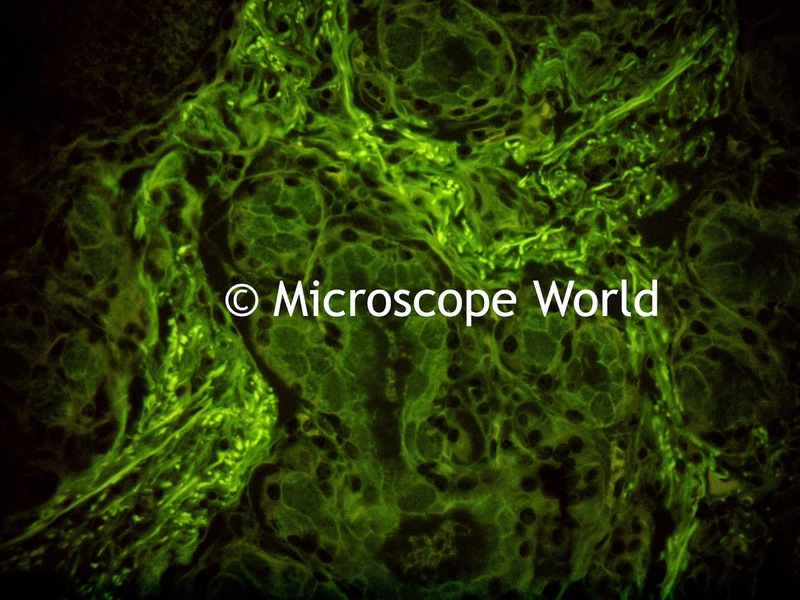 Human Esophagus captured with epi-fluorescence microscope at 400x. 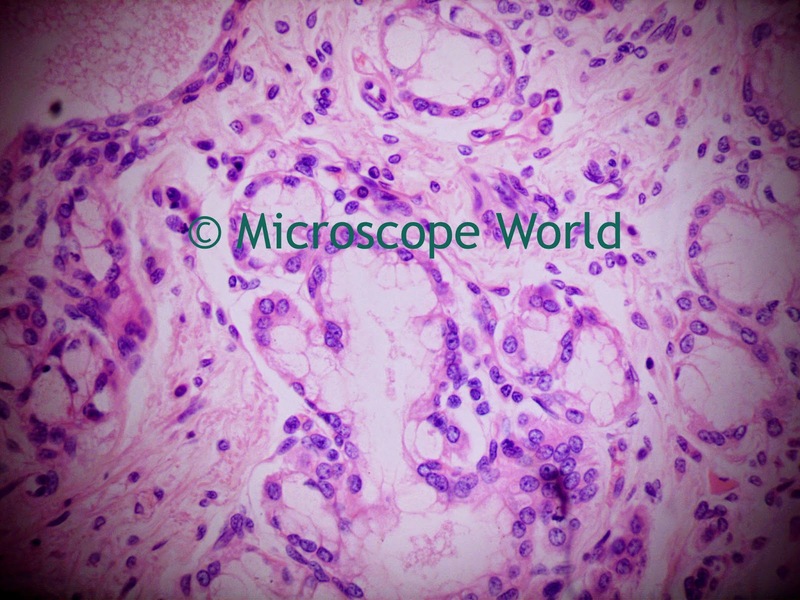 The human esophagus prepared slide can be purchased in the Histology: Human Organ prepared slide kit from Microscope World.